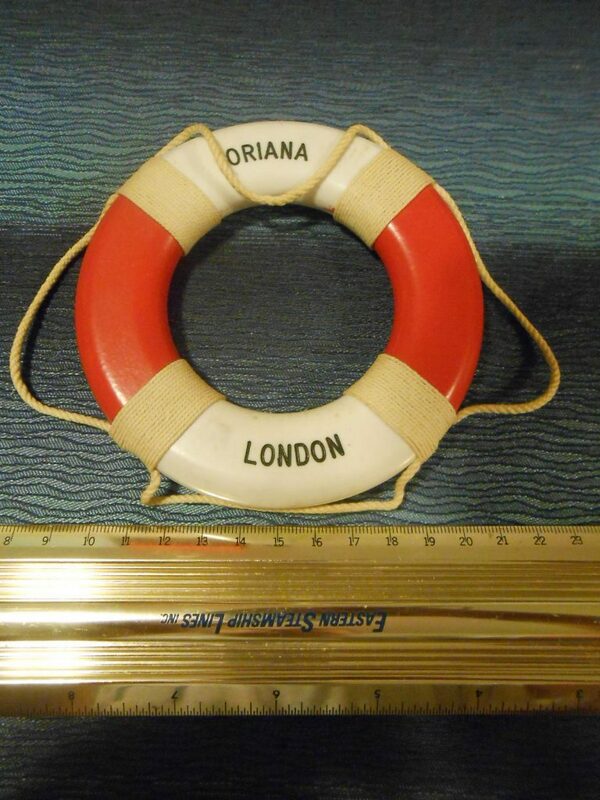 These life rings were a popular souvenir in most shipboard giftshops. This one is in excellent condition. A Little KSC sticker on the back tells us this was once sold by the infamous Ken Schultz. He probably wove a grand fantastic fairytale story that this once belonged to a Nigerian Prince and therefor charged $195 for it. My price is much more reasonable and minus the fake news.